When Sisqo appeared on the UK’s Celebrity Big Brother 7, I was so surprised. I did not think it would be his thing. I loved him on there. A singer who could really sing and got to show his raw talent sans music and microphone. His voice is just amazing. Whilst on Twitter I asked the question about Dru Hill and lo and behold I got a response from one of the people within their PR circle. 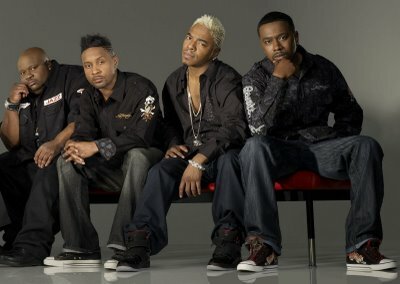 Dru Hill are due to release their fourth album 23 March 2010. Dru Hill consist of singers, Jazz, Sisqo, Nokio and new member Tao. Former members were Scolla and Woody who pursued a gospel music career. The video to the 1st single Love M.D. has Dru Hill written all over it. I like the way it re-introduces all the group members at the start. It is a typical RnB type of video. The vocals are on point. Nokio was my favourite member but not sure if I am liking his new look. He still looks good though. I will be purchasing this album as soon as it is released. Love me some Dru Hill. Wow they’re trying to make a comeback.